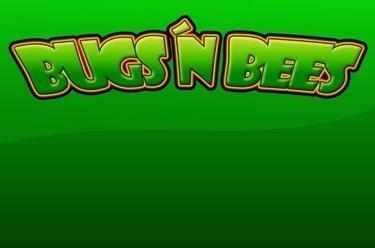 Play Bugs ’n Bees online for free now! The cute crawlers in Bugs’n Bees are not annoying - on the contrary, they will make you a winner in this slot game! Find the right combination and let the busy collectors increase your Twist numbers, for the bee is among the most industrious helpers and complements your winning combinations. The ladybird is even busier - it brings you many Twists in the bonus game! The aim of the game is to land 5 matching symbols along one of the 20 win lines. Every winning combination begins on the left and runs along the win line to the right. To win, the symbols must land next to each other on an active win line without any other symbols between them. 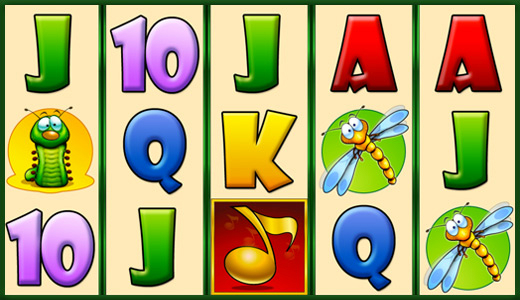 Three, four or five musical notes in any position triggers 10, 12 or 15 Bonus Games. The ladybird is the bonus symbol in the game. If it lands in any position, it pays out the current value shown on the Paytable. But it comes with a special feature: Each time you land a ladybird during a bonus round, its value is doubled! The bonus games automatically use your bet from the last regular game. You can’t win additional bonus Games during a Bonus Game.